On a late Friday in June, Charley Joe Dill casually smokes a cigarette outside the Retroplex skating rink in Saint Robert, Missouri. He stands back a bit from the door, but people still flock to him - stopping to say “Hi” on their way in. While spending a summer night at the skating rink isn’t anything too unusual in rural Missouri, this particular skate night is special – it’s part of the Pulaski County Pride festival. This is the third year there have been official events in Pulaski County to celebrate LGBT pride. Charley said that the first year, he and a few others rented a pavilion at the community park, making reservations under the pretense of a family reunion. Charley Joe Dill is one of the Pulaski County Pride organizers. Pualski County, Missouri, isn’t too different from your typical Midwestern rural community. Outside of the local army installation – the largest towns are about 4,000 strong. It isn't what might come to mind when you think of LGBT Pride. 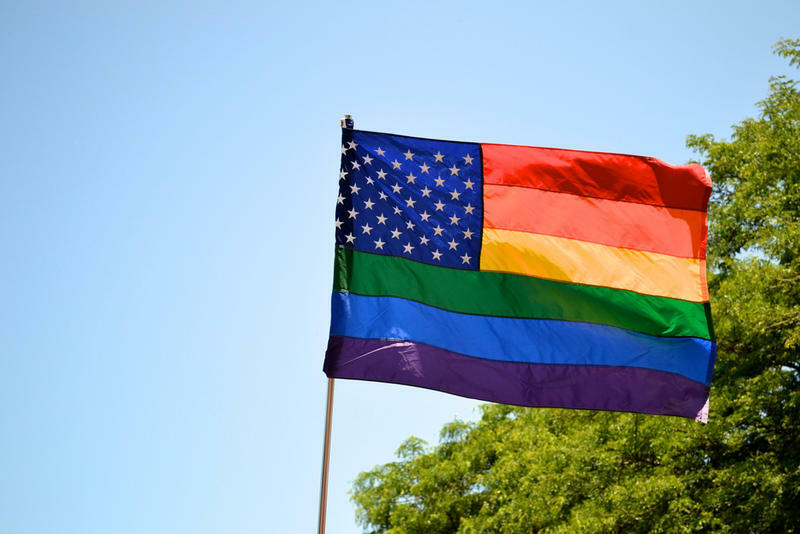 But, over the past few years, LGBT pride has begun to take root. Residents plan an annual Pride festival, and each year, as they add new events, it seems to gather steam. Charley, who helps organize Pulaski County Pride, said it isn’t your typical Pride festival. 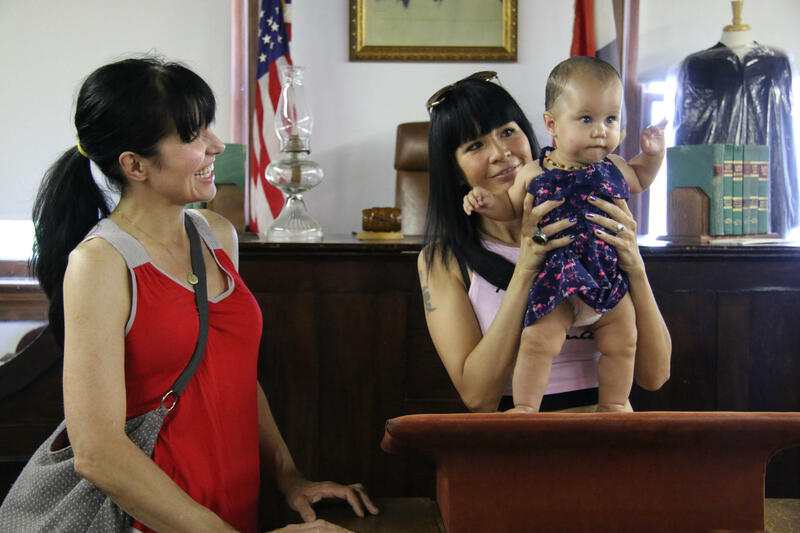 The third annual Pulaski County Pride festival includes what Charley describes as 'small town pride events,' like a skate night, a community scavenger hunt, a brunch and a picnic. 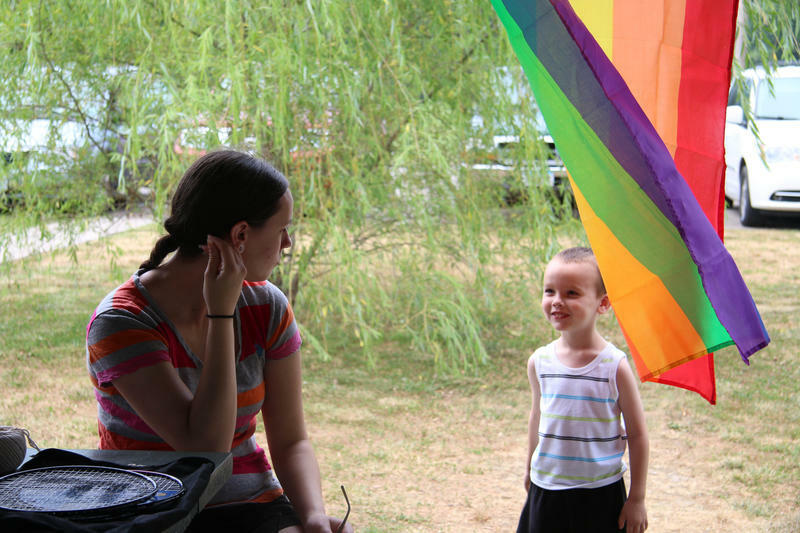 People of all ages participated in some of the Pride events - like the community scavenger hunt. Charley says he believes Pulaski County Pride is family friendly, and he hopes that some day, it could be a “destination” pride for families. This year’s Pride festival has gotten more attention than in years past because of a controversy surrounding an event that is more typical of a Pride festival– a drag show called Dragapalooza. The controversy has been centered around the location of the event – the Saint Robert Community Center. Darrell Maurina, the owner of the Pulaski County Daily News, raised concerns about the drag show being held near where children’s baseball fields are located. He said he was worried about children having to share the bathrooms of the community center with a show that was designed for people who were 18 and older. And Charley said the conflict didn’t end there. In a personal post on Facebook, one Saint Robert city alderman compared gay people to child molesters. This city alderman could not be reached for comment. But, Charley said, nothing was going to stop the pride festival events. 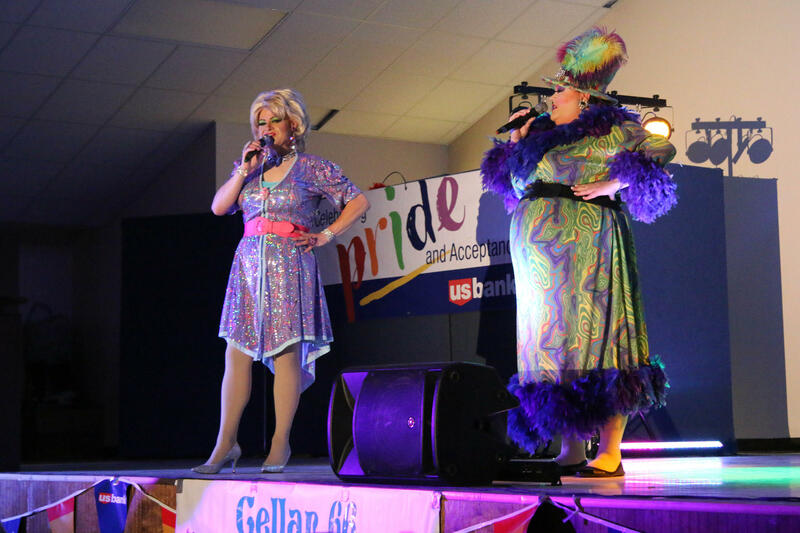 Many in the community gathered in support of Pulaski County Pride – people started to openly voice their support for the events, and local businesses donated swag and prizes for a charity raffle during the drag show. Charley said that this support showed him and the rest of the LGBT community that they've "come a long way." Freida Bangkok and Aieta Buffet perform together during Dragapalooza. So, despite the controversy and complaints, on the last Saturday in June, the show goes on. The house is packed. The venue, still the Saint Robert Community Center, holds about 400 people. Even with the air conditioning broken, the show is sold out and more than 100 others are turned away. The drag show performers are on stage for about two hours, and the crowd eats it up – people have come from hours away to see the show. Charley and his husband, Danny Kallman, get ready to perform in Dragapalooza. I meet up with Charley and his husband Danny Kallman, who both performed in the show, after it wraps up. They are swarmed by people wanting to take pictures with them and congratulate them on a great show. 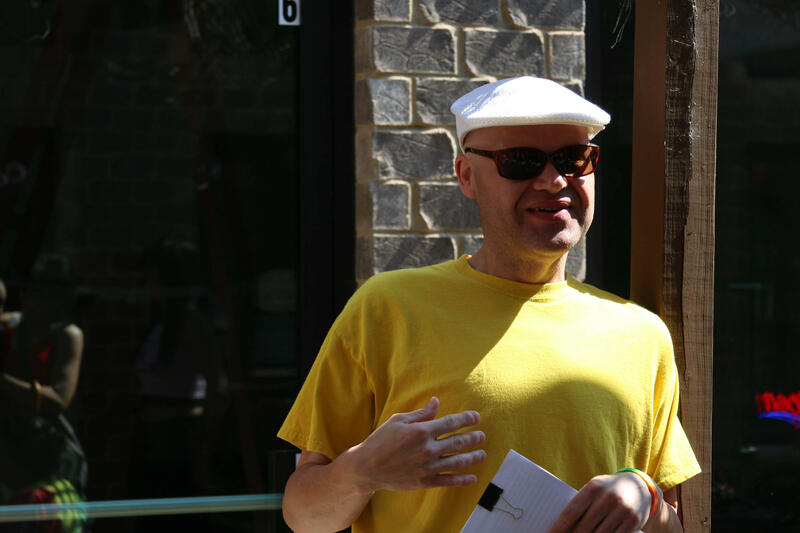 Charley says he’s ecstatic that the community came out in such great numbers and that the show was a success – despite the broken air conditioner. “It went well. It’s hotter than hell, but it went well. I think people had a good time,” Charley said. Danny, his husband, smiles broadly. The night starts to wind down around 11:30 p.m., but I find out the next morning that some people were out as late as 6 a.m.
On Sunday, the last day of the festival, things get off to a relaxed start. LGBT residents and allies sit down to a brunch of fried chicken and eggs. And as the day rolls on and the rain rolls in, Pulaski County Pride returns to its roots – a simple picnic in the park. People talk and play reveling in simply being together. 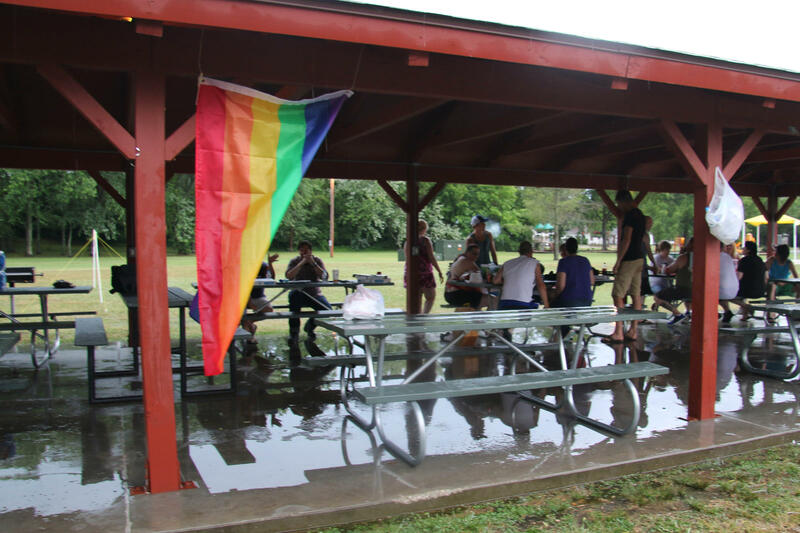 LGBT Pulaski County residents and allies gathered at a picnic to signify the end of the Third Annual Pulaski County Pride festival. Charley takes off to grab some pizza, and TJ Martin, one of the other organizers of Pulaski County Pride festival, stands to say a few words. And she's proud of this year's Pulaski County Pride. St. Louis police plan to increase their presence at PrideFest events this month in the aftermath of the fatal shootings in Orlando, Florida. Fifty people died in the shooting early Sunday at a gay nightclub. In a statement, organizers of the St. Louis event say PrideFest will go on as planned June 24 through June 26 at Soldiers Memorial in downtown St. Louis. Several other events are taking place throughout the St. Louis region this month.